It’s officially official: Unifor and General Motors have ratified the previously tentative four-year labor agreement. The biggest news in the agreement is $520 million of investment for the Oshawa and St. Catharines manufacturing facilities. According to The Globe and Mail, the contract was made public this past Sunday after both parties officially signed on. In the process, GM Canada has also pledged to eliminate the $2.6 billion deficit in pension plans for its workers as part of the deal. The entire deal saves 2,500 jobs in Oshawa, which is rumored to now be tooling to assembly Chevrolet Silverado interiors. Production of the 2017 Chevrolet Impala and 2017 Chevrolet XTS has also been extended. New hires will be hit the worst in the new deal, which will see a switch to a defined contribution plan. However, wages will rise from $34.41 an hour to $35.78 an hour over four years. 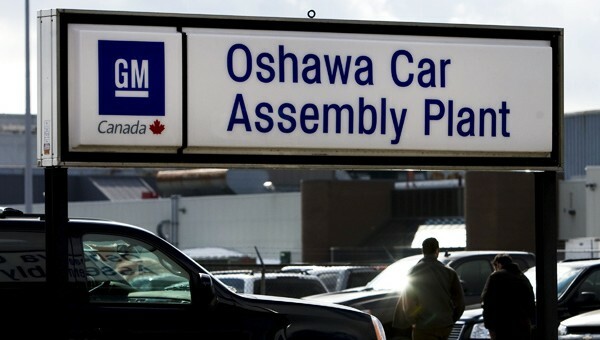 It marks the first wage increase for GM Canada workers in nine years. It about time the employees in Canada got a raise to try to keep up with inflation and also give them a share of the generous profits that Blue collar workers provide to the company.